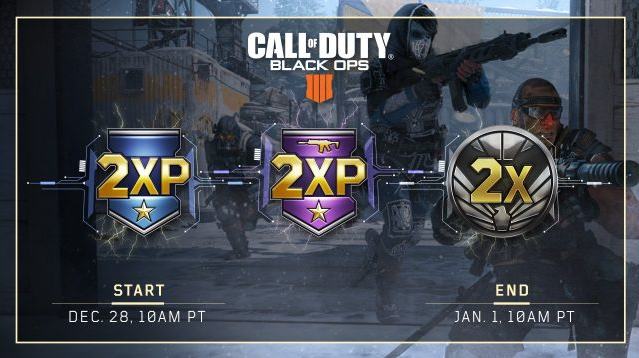 YES, THAT'S IT DOUBLE XP FOR MP & ZOMBIES ALSO 2X MERITS IN BLACKOUT AND FROM TODAY UNTIL JANUARY 1ST. Items in the blackout shop are also 50% OFF during the weekend as the new year arrives. So sit back and grab yourself a beer or whatever you prefer and enjoy the new year along with some double XP. NextGenUpdate is seeking new Writers & Streamers!